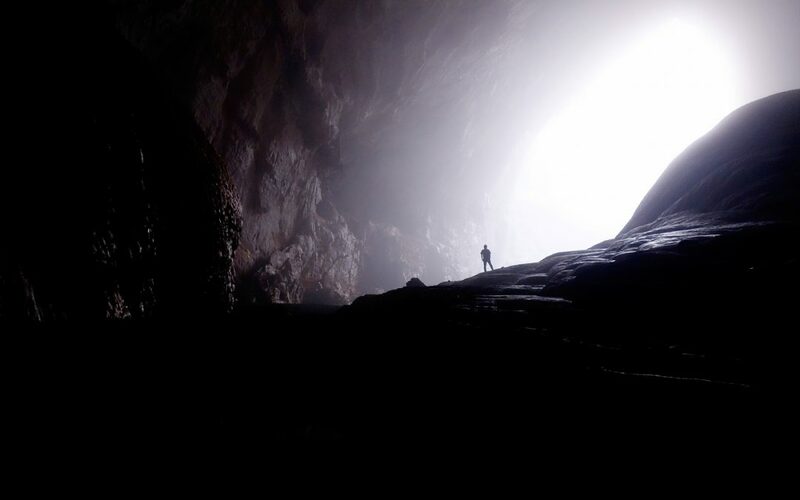 Choosing a new headlamp for caving could save your life. Being able to clearly see where you're going and spot distant hazards easily for many hours at a time without the battery suddenly giving out is critical to your survival. We'll go over the features and specs and examine the 10 best headlamps for spelunking for 2019. 1. Why buy a new headlamp for caving? We chose our top picks for the best headlamps according to features like light output, the distance lit, burn time, light options, battery type, attachment options, waterproofing, and most importantly, durable construction. We looked at customer reviews and the maker's specs when considering our recommendations. We also add a rating for each one of the best headlamps on our list so you can quickly sort out which models might best suit your needs. The Olight H2R could literally save your life with its stunning 2300-lumen burst, lighting up deep pits, distant cavern,s and hazardous obstacles with ease. It's so bright, you could even use it for self-defense against unexpected wildlife. This amazing blast of light lasts for up to a minute at a time, then the lamp throttles down to 750 lumens, which is still one of the highest outputs reviewed here. It also has lower settings for close quarters. 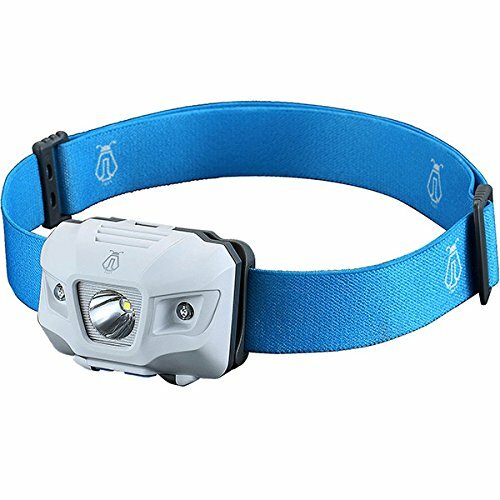 You can attach this headlamp anywhere, as it comes with both a pocket clip and a head strap. For more comfort and secure fitting on longer expeditions, the headgear includes a center strap across the top of your head. It's easy to operate with a single button and includes an S.O.S. mode for emergency signaling. The durable body is made of anodized aluminum and is waterproof, submersible to up to two meters (IPX-8 rating). The Olight also includes a magnetic cable to recharge the 18650 battery and the option of either a Cool White or Neutral White LED as the light source. With these specifications and flexibility, the Olight definitely makes our list of the best headlamps you can buy for caving. The Fenix HP25R headlamp has the brightest beam of those reviewed here (1000 lumens), except the Olight and Petzl burst modes. The Fenix can cast that light 187 meters for up to an hour and a half. Stepping down to 350 lumens increases the battery life to four and a half hours. You can also switch to red light from white, which is easier on the eyes during a long trek. Like the Olight H2R Nova described earlier, this Fenix headgear has a strap across the top of your head as well as around it for a more secure fit. The HP25R has an IPX-6 waterproof rating, meaning that it's not necessarily submersible, but is safe from water jets and sweat. Thanks to its long life and distance range, the Fenix makes our list as one of the best headlamps for extensive use. With the Coast HL7 headlamp, you can quickly and easily adjust the beam from a narrow spotlight to a wide floodlight or anything in between. Adjusting the brightness up to 285 lumens is just as simple. The narrowest beam can reach up to 119 meters into the cave you're exploring. 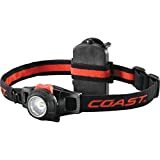 With its budget price, the Coast makes our list as one of the best headlamps for cavers on a tight budget. No need to fuss with multiple switches through various modes. Just turn the lever on the back to your desired beam strength, and you are set. This device runs on three AAA batteries and has a top burn time of about 90 minutes at the highest setting. The combination of Maxbright and Ultrabright LEDs in the Princeton Tec Apex headlamp lets you select between a spotlight effect for distance and a wider floodlight for closer exploration. At its brightest setting of 550 lumens, it can cast a beam for 120 meters into the darkness for up to two hours (longer on lower settings). 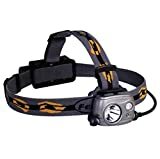 Like the Olight and Fenix models described earlier, the Princeton headlamp includes a center strap across the top of your head. It is also waterproof with an IPX-7 rating, submersible to up to one meter. Additional Apex models from 200-550 lumens are available from Amazon and other vendors. With its durability and light weight, the Maxbright makes our list of the best headlamps for multi-purpose use. 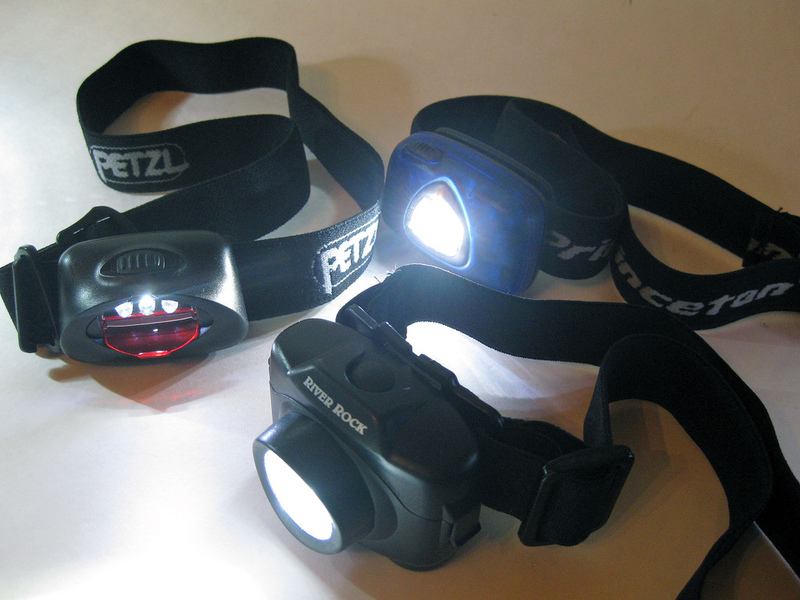 The Tikka is Petzl's budget headlamp, compared to the other two Petzl models reviewed here. Its brightest beam of 200 lumens can reach up to 60 meters for 60 hours before draining the battery. A lower setting of 100 lumens is also available, providing similar battery life. To relieve your eyes on a long expedition, you can easily switch to red light from white. The Tikka headlamp is weather-resistant with an IPX-4 rating. If you're planning your next family camp out, the Tikka may be one of the best headlamps to outfit your entire party. Only weighs 3 oz making it a good option for ultralight backpackers. Head strap is hard to adjust. LIGHT UP YOUR ADVENTURE: With its easy-to-use design, the TIKKA is perfect for camping, trekking, or household use. BRILLIANT BEAMS: Features a wide, uniform beam with white and red lighting for nocturnal stealth. 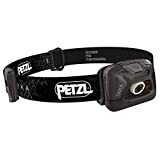 The Petzl Ultra Rush Belt headlamp is the only model reviewed here powered by an external battery pack worn on your belt or in your pocket. This pack, filled with high-capacity batteries, extends the brightest 760-lumen light duration to a whopping four hours. 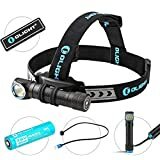 This is several times longer than the others reviewed here, making it one of the best headlamps for long treks or other situations where you're likely to blaze through battery power quickly. Those 760 lumens can reach up to 170 meters into the unknown, helping to keep your journey safe and secure. Switching down to 370 lumens, you now get 10 hours of battery life, thanks to the belt pack. 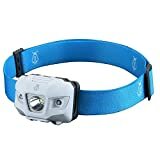 This headlamp includes a center strap across the top of your head. It's waterproof with an IP 67 rating, submersible to up to one meter. If you're wearing gloves or have difficulty with tiny devices, the Petzl's large control knob is quite easy to use. 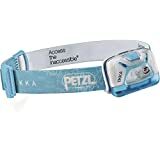 With its long life at highest settings, the Petzl makes our list as one of the best headlamps for serious cavers. The NiteCore HC50 has a 760-lumen beam that will light up the cave for 98 meters with its durable mineral crystal housed lamp. That brightness can be sustained for an hour and 15 minutes, or you can switch down to 300 lumens for three and a half hours instead. Once your eyes tire of the white light, you can switch over to red. The NiteCore body is anodized aluminum and is waterproof, submersible to over one meter (rated IPX-8). The HC50 also includes a center head strap for comfort and a more secure fit. It also features an S.O.S. signal for emergencies, a beacon to help you locate the headlamp in the dark, and a police warning signal. With its sturdy build, the NiteCore makes our list as one of the best headlamps for variable terrain. The feel of switch system is good for the partial press, but the full press requires more force. This Black Diamond headlamp offers a quite long battery life of 30 hours at its maximum 300-lumen output. The light extends 80 meters in front of you, illuminating your surroundings in either red or white. 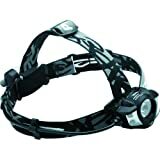 The headlamp is also waterproof rated IPX-8, submersible to over one meter in depth. The JetBeam is the least expensive caving headlamp reviewed here. It provides a 335-lumen burst of light that can reach 90 meters, and a sustained beam of 200 lumens for up to five hours. Red light is also available to make longer treks easier on the eyes. Like the Fenix HP25R described earlier, the JetBeam has an IPX-6 waterproof rating (safe from sweat and direct water jets, but not submergible). If you're on a very tight budget or need to outfit your entire crew, the Jetbeam is one of the best headlamps when it comes to value. The headband is stiffer and feels like it’s made of tighter-knit materials and fit is better. They didn’t like the buttons on the bottom as that’s different than most other headlamps out there and the buttons were a bit confusing to use. The Duo 14 headlamp is a new product from Petzl, too new for an extensive collection of user ratings. It can generate an 1100-lumen burst of light to penetrate 200 meters into the darkness, then sustain a 700-lumen beam for up to three and a half hours before exhausting the battery. A patented anti-glare feature dims the headlamp when beams cross, so people using Duo 14 equipment can safely work together face to face. The headgear includes a center strap across the top of the head and the lamp is adaptable to any type of helmet with its adhesive plates. The control button is large and easily manageable with gloves. The Duo 14 is also waterproof with an IP 67 rating, submersible to up to one meter. For serious cavers on long treks, and if you want to make an investment in its quality, the Petzl Duo is one of the best headlamps on the market. Light output has increased, battery technology has improved, and lamps are more waterproof than in the past. These are all critical for caving. All the headlamps in this article can be purchased on Amazon and most from the original manufacturer. The price depends on many factors, including the brand. Most of the headlamps in this article are priced under $90. The Olight H2R Nova headlamp is the clear winner for caving because of its 2300-lumen light burst, flexible attachment options, durable construction, and lack of a bulky external battery pack for that brilliant light output. 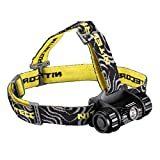 The Fenix HP25R, Petzl Ultra Rush Belt, NiteCore Cree XM-L2 HC50 and Petzl Duo S are also among the best headlamps for caving. It all depends on which specific features matter the most to you. Some of these do have longer battery life or burn time than the Olight.